A week ago I drove up to Portland with my grad student Elizabeth to interview the biologist John Tyler Bonner. We were both amused, or bemused, by the declaration of the Institutional Review Board at Oregon State that the interview did not qualify as research (and therefore did not need IRB approval, a good thing) and wondered what we would learn. As readers of this blog know, I’m a historian of the seventeenth and eighteenth centuries, and my knowledge of the history of modern biology is pretty sketchy. Elizabeth’s interest in Bonner’s work was related to her research on the British biologist D’Arcy Wentworth Thompson (1860-1948), who also worked in natural history, classics, and a few other things. Bonner had abridged Thompson’s enormous 1917 study On Growth and Form in the early 1960s – the abridgement is still in print – and Elizabeth wanted to ask him about that. I knew that Bonner was an important evolutionary and developmental biologist, that he was 95, and that he lived in an ashram in Portland. I was not sure what to expect. The ashram is a large rambling house in Laurelhurst in Northeast Portland and offers yoga classes. One of Bonner’s sons lives there, and he moved there from Princeton a few years ago. We made our way around the building to the entrance amid people carrying yoga mats and Dr. Bonner came down and met us. We took off our shoes and followed him upstairs to a bright and cozy little apartment, with the Spy caricature of Darwin’s bulldog Thomas Henry Huxley hanging in the bathroom and a complete set of the Patrick O’Brien Aubrey-Maturin novels on the bookshelves. I relaxed. I pointed to the O’Brien. John (as he insisted we call him) laughed. “I’ve read them all, four times, and I want to read them again. But the last time was only two years ago, so I’ll have to wait a bit, and I’m not sure I’ll make it.” He is straightforward about the debilities of age, and is hard of hearing. My experience with my equally deaf father –as well as my Italian habit of talking with my hands – helped to move our conversation along. John made us coffee, and we sat around a coffee table scattered with issues of Science and Nature and talked with him for over an hour about his life, about Thompson, and about biology. 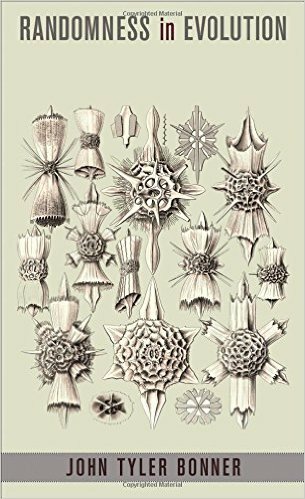 John has published a lot of scientific papers – he had just submitted another one when we spoke with him — but unlike most scientists he has also written close to twenty books, including an autobiography that gives a wonderful overview of twentieth-century biology. His most recent book, published two years ago, was Randomness in Evolution. Three themes appeared over and over in our talk: the joy of good writing; the importance of good teachers; and why biologists need to keep the “big picture” in view. 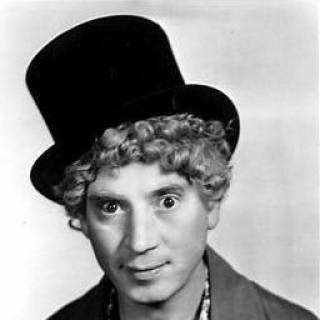 John Bonner grew up in a literary and cultivated family; his father aspired to be an opera singer and later wrote for the New Yorker, and family friends included Alexander Woollcott, Harold Ross, Dorothy Parker, and George S. Kauffmann, as well as Harpo Marx. I can’t help but think his appreciation and talent for writing came from this milieu; it seems much more likely that he would have become a writer, or a musician like his brother Anthony, than a biologist. But in fact he became both a writer and a biologist. In his autobiography, John recalled that his father gave him a copy of The Science of Life in the early 1930s to lure him away from a narrow preoccupation with bird-watching. Written by H.G. 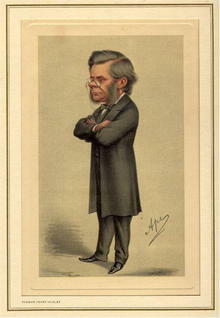 Wells, his son G.P. 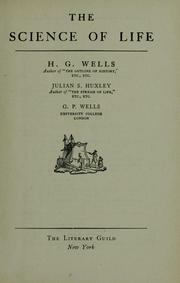 Wells, and Julian Huxley, The Science of Life was an enormous (1500 pages) and enormously popular summary of all that was known about biology ca. 1930, including evolution, development, the germ theory of disease, and psychology. Written with H.G. Wells’s characteristic verve and clarity, it includes a chapter debunking theories of telepathy and clairvoyance that were popular in the 1920s. It also closes with the somewhat radical view for 1930 that learning is not something that one does only as a child but something that continues throughout one’s life. 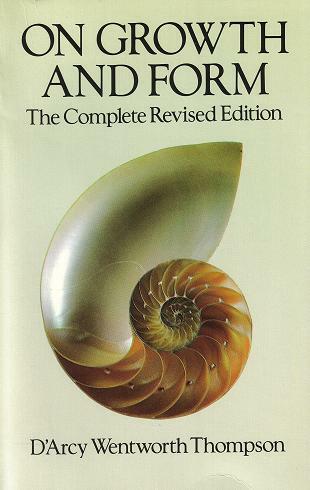 The other book that proved to be a major influence was Thompson’s On Growth and Form, which John, then a graduate student, read shortly after the appearance of a second edition in 1942. 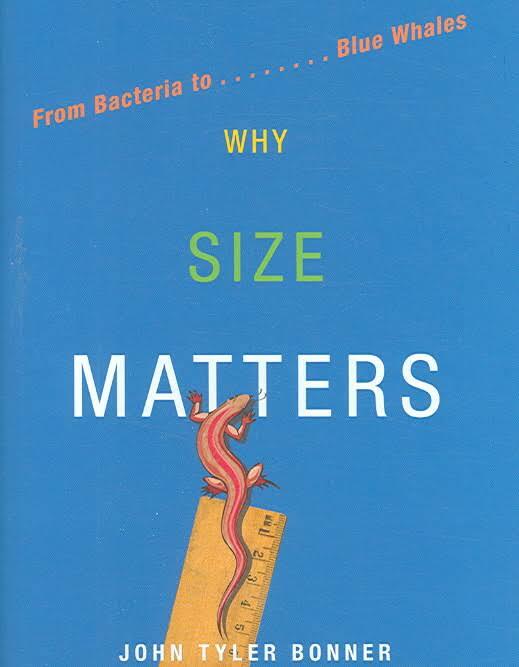 John recalled that he was “overwhelmed” by it; all the young developmental biologists who read it in the 1940s loved it, he said, “but I loved it the most,” for its “magic combination of language and ideas.” Another enormous book – the 1942 edition was over 1100 pages – On Growth and Form touched on a number of topics, including the relationship between development and size that John later explored in Why Size Matters. Yet it is the “beauty of his prose” that John now remembers. Whenever I wonder (which I do, often) if my teaching makes any difference, I will now refer to John’s account – both in our interview and in his autobiography – of the immense influence on him of William “Cap” Weston, who taught botany at Harvard (John’s assessments in his autobiography of some of his other teachers at Harvard are pretty scathing). 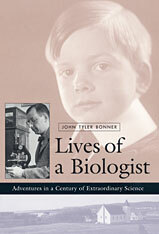 Weston introduced John Bonner to the lower organisms with which he made his career, and supervised his Ph.D. work on slime molds. 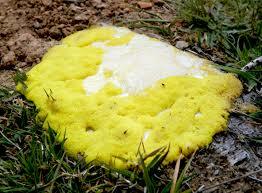 Why slime molds? Their unique life cycle made them ideal organisms to study development in the laboratory. They are single-celled amoebae (his book on them is titled The Social Amoebae) that feed first, then join together as a multicellular organism to reproduce. John recalled that, when he was a graduate student, the eminent embryologist Ross Harrison complimented him on his choice of organism. In John Bonner’s lab, slime molds became a prime instrument to explore the science of development. (In case you still think they’re boring, look at this nifty little video). 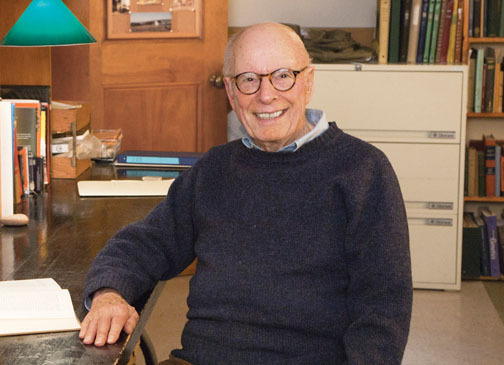 When John Bonner came to Princeton as an assistant professor in 1947 he was the eleventh member of a department of biology (“all men,” he said with a grimace). The molecular revolution sparked by the structure of DNA was still several years in the future. John told us he believed something had been lost in the transition to molecular explanations, and that perhaps reductionism was reaching its limit. “I’ve always been a big picture person,” he said, returning again to D’Arcy Wentworth Thompson, a quintessential big picture man. The attraction of biology, he said, is in “the ensemble of things.” I am glad I had the chance to meet John Tyler Bonner: a delightful man, a brilliant scientist, and a great conversationalist.